A total of 250 abandoned mining waste sites in the Republic of Serbia were monitored as part of the project Cadastre of Mining Waste of the Republic of Serbia, carried out by the Ministry of Ministry of Mining and Energy in co-operation with the EU Delegation in Serbia and implemented by the German companies Plejades GmbH Independent Experts and DMT in cooperation with local partner Institute of Mining and Metallurgy Bor. A total of 41 locations are selected for further investigation in the next phase of the project. The data obtained will be presented in the Cadastre of Mining Waste data base, which is to be created in Serbia for the first time. The goal of the project is harmonization with the EU legislation and to develop and improve the mining waste management system in the Republic of Serbia. In line with the Law on Mining and Geological Exploration adopted in 2015, the Ministry of Mining and Energy, with the financial assistance from the European Union, is implementing the three-year project Cadastre of Mining Waste in the Republic of Serbia with the aim of producing systematic and comprehensive data on active and abandoned mining waste sites in the Republic of Serbia. During the first year of the project, a total of 250 abandoned mining waste sites across Serbia were visited. This activity represents the first important step in establishing responsible and sustainable mining waste management. Basic data was obtained on visited locations, mining waste types and quantities, on landfills that represent potential physical hazards and possible adverse effects on the environment and human health. The obtained data will be presented in the form of a web application and a book of Cadastre of mining waste, that will contain both locations of active mines and locations of abandoned mining waste. 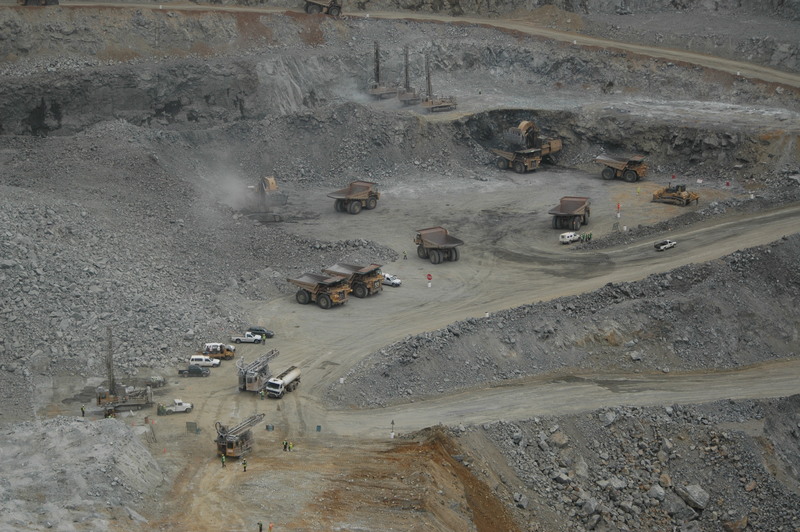 In the next phase of the project, the project will investigate and analyse 41 mining waste sites in detail. These sites were selected as to assess their potential serious impact on the environment and human beings. The selected sites are in the following municipalities: Čajetina (4), Nova Varoš (2), Raška (7), Krupanj, Loznica, Prijepolje, Knjaževac, Zaječar (2), Crna Trava, Surdulica, Mandanpek (3), Voždovac, Kučevo, Aleksinac (2), Mali Zvornik, Kragujevac grad, Boljevac, Zaječar, Brus, Ljubovija (3), Žagubica-Bor i Dimitrovgrad. The amount of waste in the selected sites accounts for 90% of the entire mining waste on all the visited abandoned mining waste sites (250 locations in total). Results from investigation of these 41 locations will be presented in a report containing detailed data for each site – including site description, results from chemical and geotechnical analyses and an assessment of the impact on the environment (in particular, the effects mining waste has on the quality of groundwater and surface water and soil) and possible effects on human health. The project Cadastre of Mining Waste of the Republic of Serbia is aiming to assist the Republic of Serbia in harmonizing its legislation with the EU acquis in the mining and environmental sector, specifically through development and improvement of the mining waste management system. The EUR 2.1 million project is 90% funded by the EU and 10% by the Government of the Republic of Serbia. The project beneficiary is the Ministry of Mining and Energy. It is implemented by a consortium of German companies Plejades and DMT in cooperation with Serbian partners.